Kings Bowl, located in Cool Springs, may have to reputation of being for adults, but it is very family friendly before 8 PM! 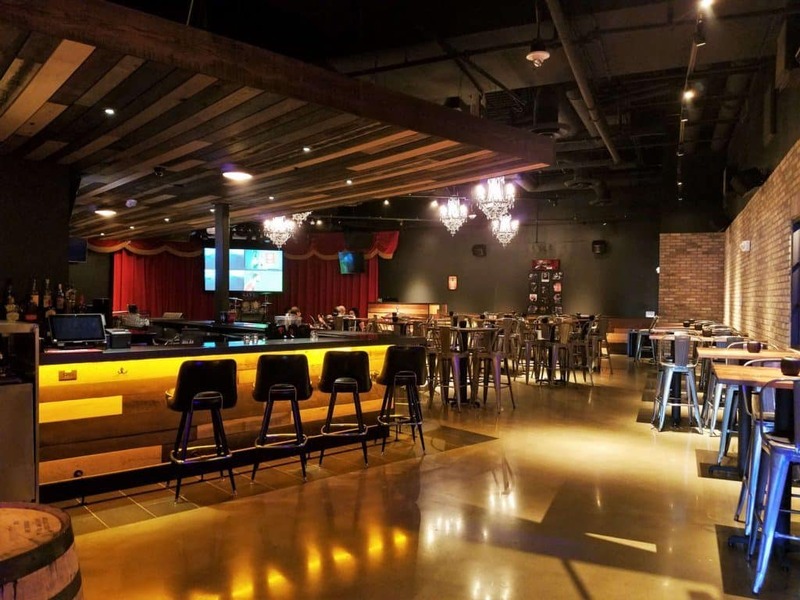 Home to a great restaurant with a sports bar atmosphere in addition to bowling, pool, shuffleboard and even karaoke, Kings Bowl is fun for all. We started our visit with lunch in The Draft Room, surrounded by big screen TVs including 3 different 15 foot HD LED monitors. It is a great place to watch a game of any kind! Everything on the menu is created from scratch including the sauces. It is definitely not your typical bowling alley menu. We started with calamari which was mild without the sauce, and the wonton wrap appetizers (both the BBQ pork and the buffalo chicken) were a hit! The fish and chips are battered in Sam Adams and passed my British husband’s test. The fish used was haddock and it tasted like a proper fish and chips meal. My kids favorite part of the meal was definitely the milkshakes. You can check out the menu HERE. After lunch we introduced our kids to pool. I don’t know if any other place in Nashville where you can play pool with a 6 year old. The kids used a bridge to help reach shots in the middle of table, and once they got the hang of it, we had some pretty great games! In addition to billiards, Kings Bowl has several shuffleboard tables, both standard and bank shot. Shuffleboard was new to me, but again, once we learned the rules, it was a fun way to spend a Sunday afternoon. We also played some foosball and tried out the 4 person air hockey table, before heading to the bowling lanes. If you haven’t played 4 person air hockey, it is an experience. We learned to put all 4 tokens in at the same time to start the game together. There are 4 pucks in this version of air hockey so be sure to pay attention and keep your fingers away from the table. 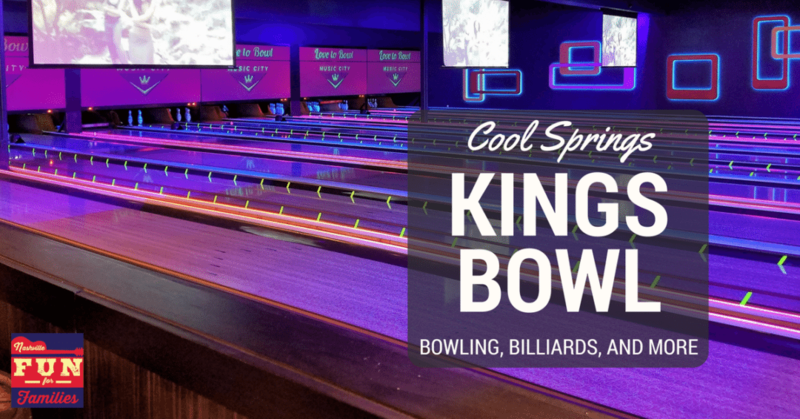 Kings Bowl has 16 bowling lanes and 2 private party rooms with two lanes each. The computer scoring system not only kept your score, but would also tell you how fast your ball traveled down the lane similar to the speeds given to baseball pitchers. My kids really enjoyed seeing how fast they could throw a bowling ball. The Whiskey Room is located in the back of the games area. It has a stage and there is live music and karaoke. Call Kings Bowl for the performance schedule and karaoke times. All ages are welcome at Kings Bowl until 8 PM. Evenings are reserved for the 21 and up crowd. Hours: Monday – Thursday: 11AM – 12AM, Friday – Saturday: 11AM – 1AM, Sunday: 11AM – 10PM (You must be 21 to enter after 8 PM). Cost: Bowling starts at $6/person, Shuffleboard and pool are per hour. See full pricing HERE.